What can health care staff and leaders do to help prevent violence and mitigate the impact? The Joint Commission has some ideas. Caring for patients and for each other today unfortunately must also include understanding the potential harm to patients and staff safety associated with the sad reality of violence in our workplaces. Many of us in health care have witnessed or experienced workplace violence firsthand. Workers in health care are five times more likely to be victims of nonfatal assaults or violent acts than the average worker in all other occupations, according to the Bureau of Labor Statistics. It is critical, therefore, for those in the health care community to receive key resources to help them prepare for and address, as well as hopefully prevent, violent situations from taking place. Health care staff come to their employment settings each shift expecting to help patients. Few physicians, nurses, or other health professionals would anticipate having to deal with the increasing episodes of violence spilling over from our communities into our hospitals, ambulatory centers, and other health care locations. Indeed these incidences can hurt or kill patients, staff, and visitors. “Active shooter” situations have become another important component of emergency management preparedness. What can health care staff and leaders do to help prevent violence and mitigate the impact? One thing is to seek out education about the issue and potential solutions. The Joint Commission recently introduced a virtual Workforce Violence Resource Center to help health care organizations deal with this very important problem. This portal, which is free and open to all, contains links to articles and research, “From the Field” case studies, and links to federal and state agencies that address workplace violence. The American Hospital Association has also announced resources available through its Hospitals Against Violence initiative. The high reliability concept of "mindfulness” is an apt description of the vigilance needed to notice anything unusual or something that just "feels wrong” as you go about patient care. That intuition, coupled with education on how to de-escalate crisis situations and limit damage, can save lives. Does your organization have formal plans for addressing or preventing workplace violence? Comment on this post below. Note: to post a comment you must be logged in. Register or log in. 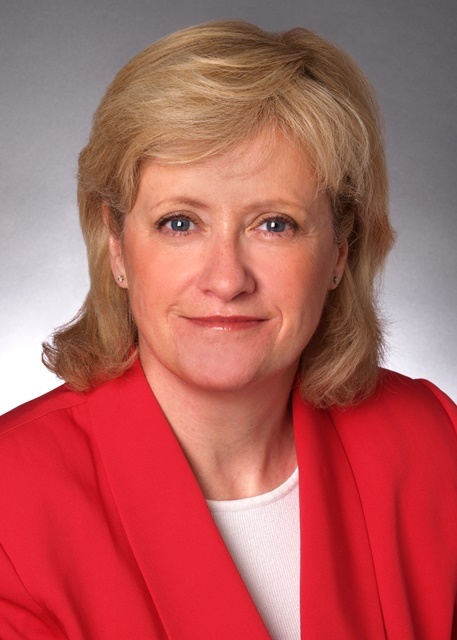 Ann Scott Blouin, PhD, RN, FACHE, is executive vice president, Customer Relations, at The Joint Commission. She serves on the National Patient Safety Foundation's Board of Directors and is a lifetime member of the American Society of Professionals in Patient Safety at NPSF. Contact her at ablouin@jointcommission.org. but many are working to reduce the risk. In March of this year, a patient shot and killed a urologist in New Orleans, then turned the gun on himself. The incident was shockingly reminiscent of last year’s killing of a surgeon at a hospital in Boston by a distraught family member. Although the murder of health care professionals is an extreme form of violence that is relatively rare, overall, health care professionals are at far greater risk than others of experiencing violence in the workplace. According to the Occupational Safety and Health Administration (OSHA), in the decade between 2002 and 2013, the rate of violent incidents requiring time off for the worker to recover was more than 4 times greater in health care than in other industries. OSHA data show that there are almost as many serious violent injuries in health care settings as there are in all other workplaces combined. What do we know about the why of all this? Ann Scott Blouin, PhD, RN, FACHE, executive vice president, Customer Relations, at The Joint Commission (TJC), says part of it has to do with how open and accessible health care settings are, as well as the emotional state that patients and family members may be in while at a health facility. Another factor is the incidence of patients having not only medical and surgical conditions, but also underlying mental illness, which can contribute to the risk of violence. And if patients, visitors, or family members typically live in an environment characterized by violence, they may bring that perspective and sometimes weapons into the health care setting, says Dr. Blouin. If there is a bright spot, it is that many organizations now recognize this risk and are taking steps to educate the workforce and make health care safer for those on the front line of care. The Joint Commission published a monograph in 2012 on the topic of workforce safety in health care and later this year plans to launch a web portal available to all with resources and tools. Among the resources will be the American Society for Healthcare Risk Management’s Workplace Violence Risk Assessment Tool. In 2013, the National Patient Safety Foundation’s Lucian Leape Institute issued a report calling workforce safety a precondition to patient safety; Joint Commission fully supports that perspective and has published Sentinel Event Alerts and Quick Safety Alerts around the topics of escalating workplace violence. If she could share only one piece of wisdom about this issue, Dr. Blouin says, “Don’t take your patients’ or your own personal safety for granted.” She points out that there are proven tactics to de-escalate a potentially violent situation, and that anyone can learn them. “For those working in behavioral health, a standard part of the curriculum is to learn de-escalation techniques and be able to help people move from being angry and upset to a calmer state. Anyone regardless of their education and experience, whether a nurse, a physician, an environmental service worker, or a security officer, can benefit by learning these techniques,” she says. Ann Scott Blouin will be speaking on the topic of workplace violence and tactics to counteract it during Breakout Session 301 at the NPSF Patient Safety Congress, May 24, in Scottsdale. Find out more about her session and the full program at www.npsf.org/congress.